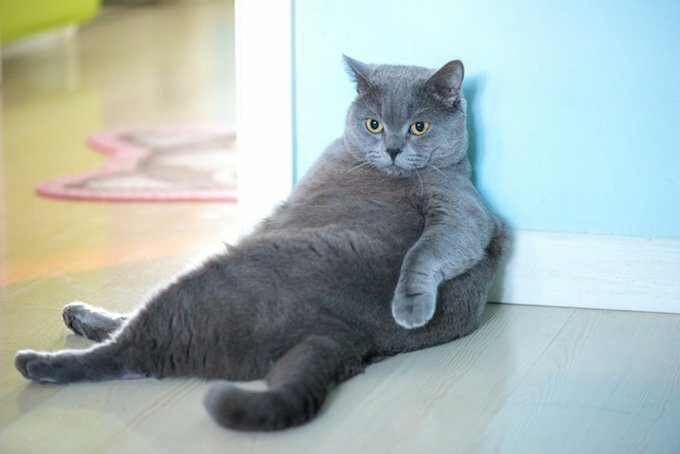 I get angry when someone shows me a picture of an obviously obese cat. No, it’s because the root cause of the problem is the cat’s owner–and feline obesity says more about that owner than the cat. Let me explain. When it comes to the things cats naturally like, they can be pretty simple creatures. They are happy to nap for 20 hours a day. They have a magnetic attraction to cardboard. And, they will contentedly stare at birds outside a window as if watching some epic suspense movie. Cats will also always wantonly break those traditional pastimes if there’s a chance food is on offer. We all know that left to their own devices, our cats will happily munch through an entire bag of treats. It’s why you don’t keep the cat treats next to the cat’s food bowl on the floor. So once you’ve adopted a cat, it’s up to you to step up and properly monitor their food. 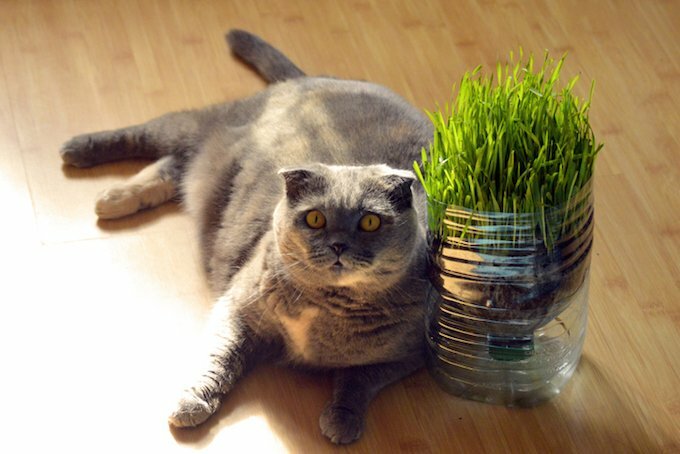 Unfortunately, in my experience many cats are destined to become overweight the moment they’re adopted. A rescue cat is taken home and, because they were previously homeless or living in a tumultuous situation, it’s deemed okay to lavish them with treats and top up their food bowl once they’ve scarfed their adorable little face full. “She had a bad life before. I just want her to be happy. I know she’s put on a bit of weight but she deserves it,” is a refrain that’s said too often. While felines are independent, low-maintenance pets in a sense, you as your cat’s guardian have a duty to make sure they stay active and interested in the enclosed world around them. 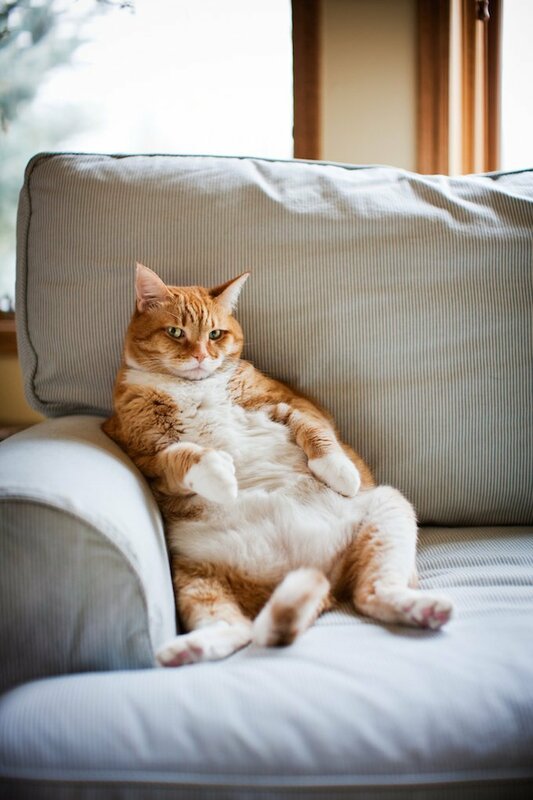 Sure, sometimes after a long day, the idea of trying to entice the cat into a play session can seem exhausting, but too much food and zero exercise is a bad combination. 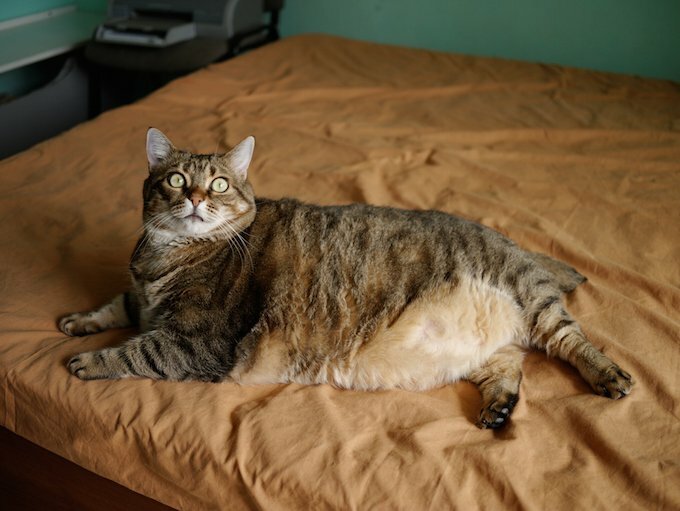 Instead, what seems to often happen is a newly adopted cat keeps putting on a little too much weight for a number of months or even a year or so. 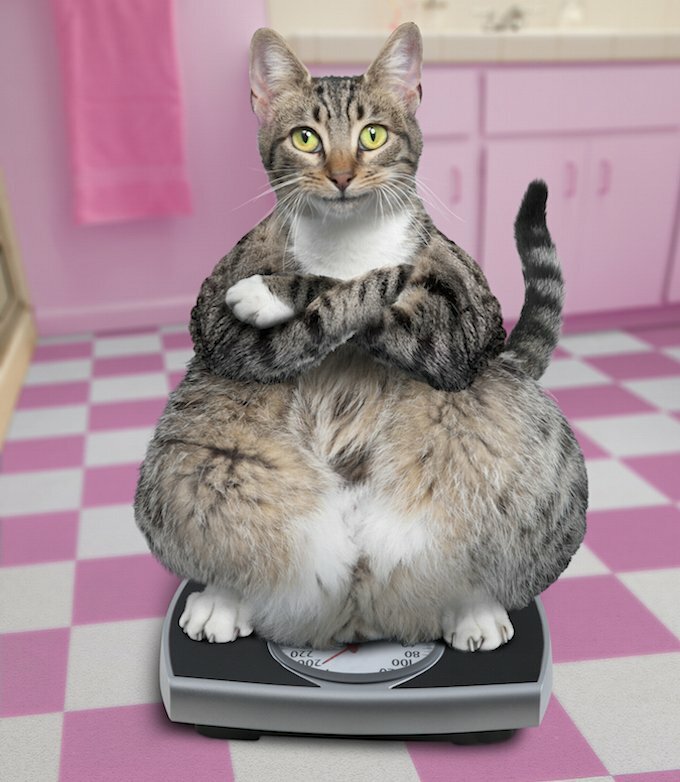 And once a cat is overweight, it’s harder than you think to re-vamp their menu and eating habits. After all, we all know that cats are inherently finicky creatures. I remember once suffering through a brief roommate situation with a person who had two exceptionally plump indoor cats. The cat owner’s solution was to feed the cats in the morning before work, while also investing in one of those timed feeders that dispenses a set amount of dry food at set intervals throughout the night. Unfortunately, the feeder was clearly broken to the point where each night, when they couldn’t get to their food, the cats would whine and wail as if being tortured by some demonic presence. These felines were basically forced onto some weird offshoot of a crash diet, which isn’t good for anyone’s metabolism. 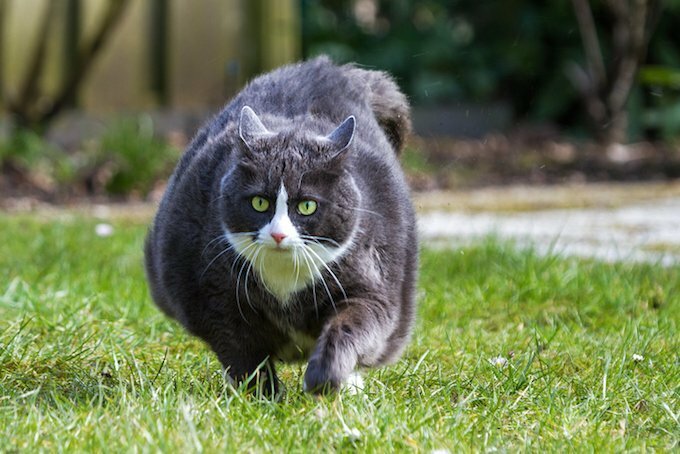 With feline obesity being a real and common problem, I’m always surprised by how many cat owners seem relatively clueless about about how much food their cat is meant to be eating–whether to maintain weight or trim a couple of pounds. Remember, healthy eating habits are just as important to a cat as they are to us humans, so do the right thing and embrace your role as a responsible feline chef.